The main objective of the study was to identify and examine competitive economic sectors and sub-sectors in Tbilisi based on Smart Specialisation methodology, and to elaborate relevant recommendations for central and local government in order to promote competitiveness and increase economic activity. The study revealed that the most competitive sector in Tbilisi is the healthcare and social work industry and that the most competitive sub-sector is the hospital industry. The analysis of the hospital industry revealed that there are a number of challenges being faced in healthcare and social work, such as a shortage of qualified personnel, medical personnel lacking motivation, a shortage of medical specialists in certain fields, and weak regulations. For each problem identified in the research, relevant recommendations have been produced. 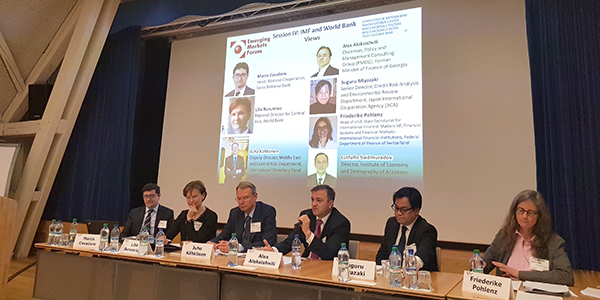 “Due to its geographical location and natural resources, Georgia has strong potential to develop as a destination for medical tourism, particularly in fields such as stomatology, plastic surgery, hydro-therapy, rehabilitation and reproductology,” said Mr. Khishtovani. The study was conducted by PMC Research together with Ilia State University, under the European Union in Georgia project - Advancing Regions for Sustainable Development (ARSD).